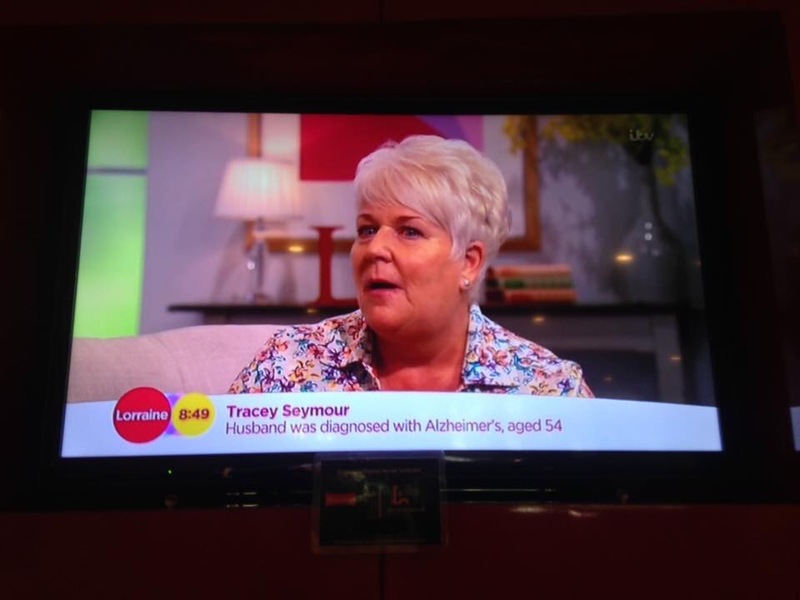 traceyseymour.com – Our Alzheimer's Journey…..
Basically this is my life so far….all 55 years of it in a couple of paragraphs, well a few more to be honest!! I was brought up in the beautiful Somerset village of Chew Magna near Bristol within a loving family of two younger sisters and my mum and dad, dad was a builder and ran a small building firm and mum was a housewife, always there when we woke up & when we got home from school. my mum was soft & gentle but my dad was very strict, had to be I suppose with three daughters!! he liked proper manners and always told us that good manners & politeness went a long way. All my school years were very normal, I was average at school never set my sights very high, just wanted to be a hairdresser when I left in 1977 & dreams of being a wife & mum in my early twenties…..All of which happened just as I’d planned it. Married in 1982 to Paul the young man of my dreams, (who by the way I met & married within 15 months) and we bought our own house, and just over a year later in October ’83 had our first born, our daughter Rebecca, she hates her name so has always been called Becky, (Rebecca when she was naughty!) quickly followed by our son Thomas in 85. Ahhh my dream family was complete, my mission accomplished. Happy & content my life continued as normal with its usual ups and downs like everyone else. Moved house a couple of times but stayed within the same town, fast forward and two gorgeous granddaughters arrived within 18 months of each other, Ruby & Matilda, one from each of our children so life on the whole was good! actually life was very good, UNTIL…. you knew it was coming didn’t you…my darling Paul reached the big 50 and he began to seem forgetful, was it his age? yes probably well he was 50 and a male after all!! Time went on, a couple of years actually & then it got serious, he was forgetting things on a daily basis so he said he wasn’t happy with his memory and the fact he kept forgetting things, and asked if I would go with him to the GP. Well after that visit & a referral to a memory clinic, two different brain scans and 7 months we were given the shock diagnosis of ALZHEIMER’S. As I have mentioned before Paul & I regularly attend the Rice Centre in Bath, our local city. Paul regular undergoes routine tests both mental & physical to assess his progression with this disease. He has been tested for a few drugs trials at the clinic but not been successful, but last September he passed all the criteria and started on a Six Month Trial for a tablet that he takes along with his usual daily tablet called Donepezil. He is taking part in the third phase of the trial and its a double blind trial which means the clinic doesn’t know if Paul is taking the placebo or the real tablet! The correct name of the trial is ‘Axovant RVT 101 Phase 3 double blind placebo controlled international clinical study’. Its for patients with moderate Alzheimer’s. We have to go every month and Paul is vigorously tested & bloods taken, urine test,weight & heart monitored every time. its a bit like a monthly MOT!!! I also have to answer lots of questions about how Paul has been since the last visit. its all recorded & we sign paperwork each time. We are already 5 months into the trial and I think we can see a very slight improvement…..His tests last week were really good & his highest score yet! I’m thinking he may be on the real tablet, and then when he’s not had a good week at home I think its the placebo, I’m never sure!!! We will only know when the whole trial is finished in late 2018. Only a few people are offered a further 18 month ‘Extension’ to the trial where they will be given the actual proper tablet to trial and you’ve guessed it YES, Paul is one of those people!! He starts the proper tablet in April just as he finishes the six month trial. Hope your understanding all this!!! So we’re thinking lets say that if Paul has been on the real tablet and has a further 18 months on the real one then 2 years taking a tablet that a pharmaceutical company are confident will help Alzheimer’s we have been very lucky. Remembering its a trial means sadly after the 2 years on the tablet that it folks, its taken away from Paul, and hopefully when all the data & results are in and analysed it will eventually be a fully licenced drug to help others and we feel proud we’ve been able to help others by taking part. Apologies as its been a while since I added anything on my blog… why?…well its been a few manic months at home! We’ve had Christmas (tell you about that later) a winter week away in our caravan & my elderly parents are getting less independent and need more of my time AND our 31 year old son returned home to live with us! Yes I did type 31!!! Right then.. Christmas, hmm, Paul didn’t seem to cope that well with Christmas, we were at my parents for the whole day with all our family & extended family and as you can imagine with a large family it gets loud, lots of different conversations going on all at the same time, playing games & two little noisy granddaughters running around, well, that would be hard enough to endure for the toughest of us!.. so imagine what its like for someone with Dementia. Hard to cope with. We all noticed what a great difference with Paul on that day I wish not to remember, he didn’t seem to join in anything, wanted to sit quiet in another room with my elderly dad, didn’t eat a large lunch, didn’t understand some of our conversations, therefore didn’t or couldn’t join in & couldn’t play our annual Christmas day bingo game as he couldn’t mark off the numbers on his card, this really wasn’t my Paul anymore.It made me so so sad and upset. For the first time ever I actually look back and hated that Christmas day. And Boxing day wasn’t much better, we were still at my mum & dads but there was less of us and I wasn’t so stressed and I actually prefer Boxing day anyway! Paul was brighter and enjoyed the day on the whole. A couple of days after Christmas we went to Devon in our caravan with our Cockapoo Molly. We were away for a week and it was just lovely, plenty of winter sunshine, long dog walks & good book and relax!! ‘Just what the doctor ordered’ as they say!! We had a blast, and I really did us both good. A few weeks into the new year, both back at work and not really enjoying the long month of January, well who does? And then guess what?.. 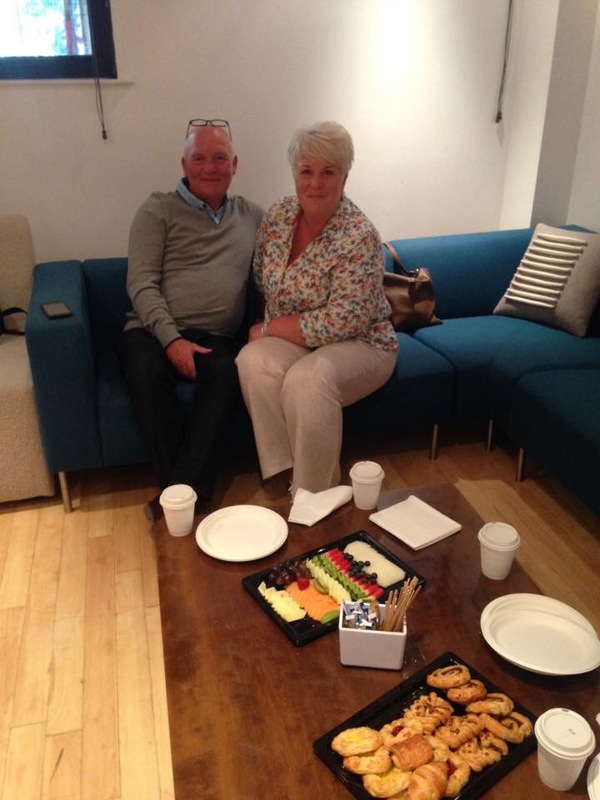 our son who had been renting a room in a house nearby decided he was unhappy and really wanted to come back home to mum & dad and try to save up to get a proper place….what could we say, we had to say YES!! Sky TV no less got in touch with us via the media team at Alzheimer’s Society, they wanted to come to our house and do a piece about Paul’s dementia, they were linking it with a piece they were filming in Bristol at a special nursing home that has built an old fashioned 1940 & 1950’s style high street on site in the grounds of the home. The piece was about the different scales of Dementia from the elderly to the young… being Paul. It all happened on a Saturday afternoon. The reporter Rebecca Williams ex BBC girl was so friendly and she had a sound man & camera man all very friendly, I made them tea & coffee and we got to know one another before we started filming.It takes ages to film and when you see it on the television it’s just about 5 minutes long. 5 minutes about Alzheimer’s & Dementia is better than zero minutes. the Piece went out on the Sunday morning, it was said that if there was no important news story over night it will go out on the hour from 6am-10am and it did!!! we sat in our pyjamas and watched ourselves on Sky TV, felt good, felt strange, & mostly felt proud. National News one minute, Local news the next!! The Made In Bristol TV channel asked if we’d do a piece about Dementia in the local area & how we coped. More awareness locaslly is what we want, and we got it. A good 5 minute peice went to air and again it was repeated several times which was to our advantage. Source: My First ever blog post at 55!! 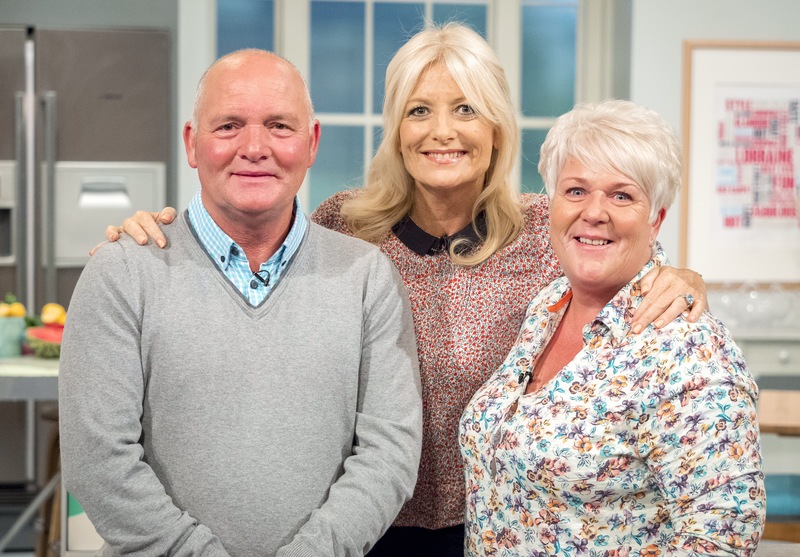 The Alzheimer’s Society rang and asked if we’d like to talk about Paul’s Journey so far and promote the memory walks? 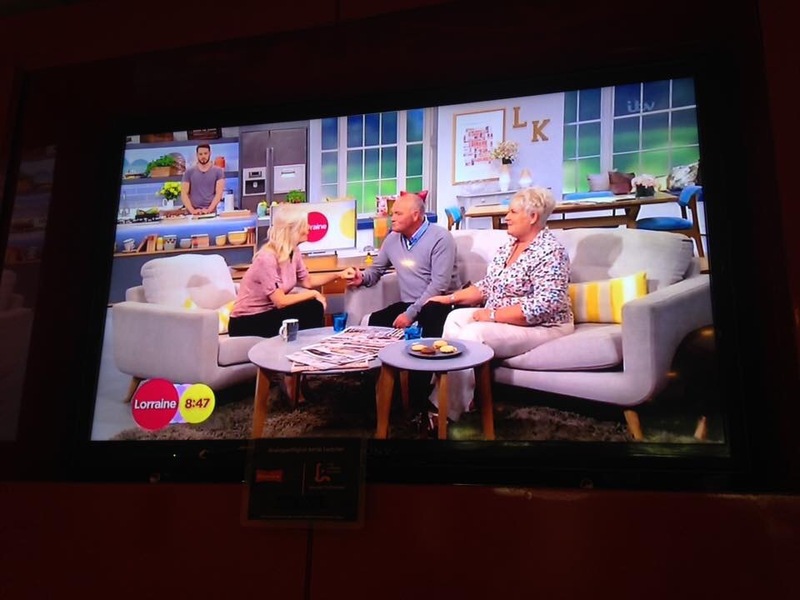 Well as we’ve done tv we thought we’d give Radio a try and very thankful for the opportunity too! 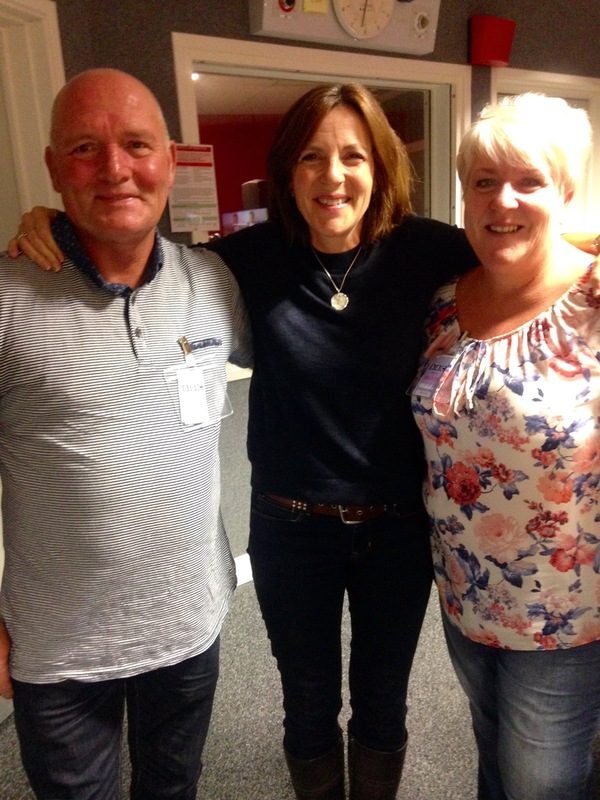 We were given a slot on the BBC Radio Bristol Ali Vowles Saturday Breakfast Show beginning of September 2015, Radio was more relaxed, no need to be nervous as there was only a few people involved and no cameras. Ali was so lovely, she came out of her studio while a record was playing so we were introduced & had a quick chat, then we were taken into the studio. How anyone knows what buttons to press & when amazes me… there must of been at least 50 of em! We had a brilliant interview, I felt Very relaxed, Paul was too and I managed to say what I wanted to and more! We had our Photo taken with Ali (as I’m making a memory book for Paul) had another quick off air chat & then we said thank you and goodbye. Little did I realise then I would meet Ali another 3 times in the year! 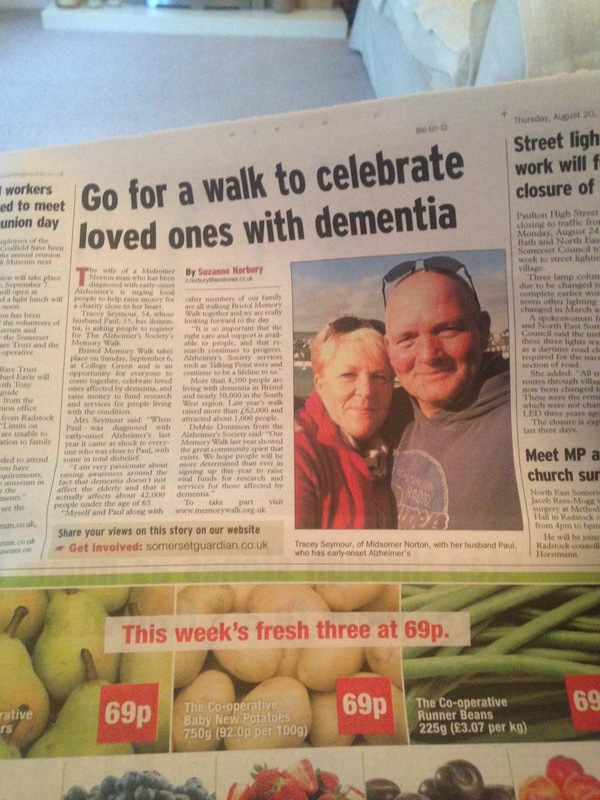 Local free newspapers ran the story about ‘couples passion to raise awareness as husband has Alzheimer’s at 54’ was the usual headline, we didn’t mind as long as that headline made someone read the story that it can affect any age any time. 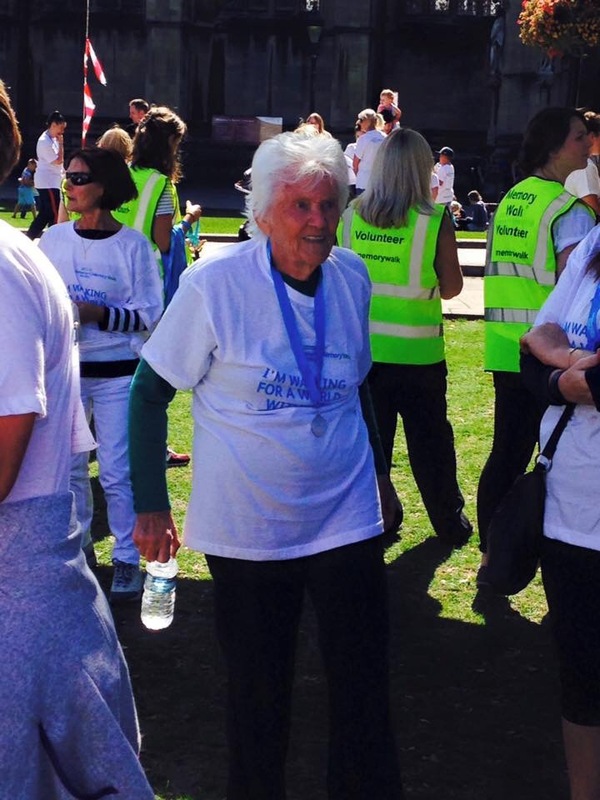 The Sunday Bristol Memory Walk day had arrived, a sunny & warm day welcomed over 1000 people walking to raise awareness, all wearing the official white t shirts, cards pinned to the back of most t-shirts telling who they wege walking in memory of. We were joined by close family which included our then 4 year old granddaughter Ruby and my 83 year old mum & our friends 25 of us in total walked the 6k all along the harbour waterside. To cross the finishing line & get a medal was for me quite moving! Something I’d never really done before. We completed the day with a late lunch and hobbled back to our cars with a great sense of achievement and pride medals still around our necks. The next day was a Monday and to say I woke up feeling flat was an understatement, the previous day had been so emotional and I still wanted to climb any rooftop and shout about Alzheimer’s & Dementia. 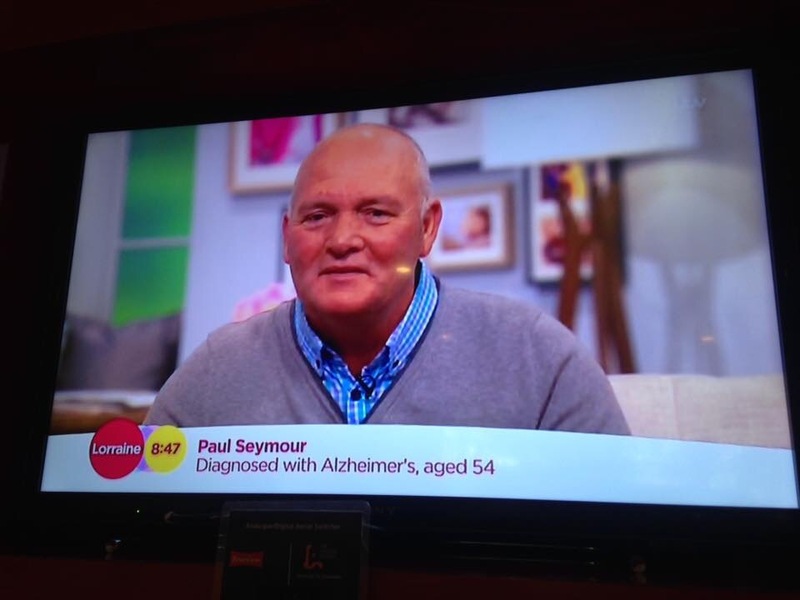 After the story in a national magazine turned out not quite as we’d hoped we were then asked if we would like to go on live early morning television and talk about Paul’s Alzheimer’s and the pending 2015 Alzheimer’s society memory walks which take place up & down the uk in September &October. Wanting to continue with our quest to raise awareness we said yes! We had a film crew come to the house to film the background story, now that was fun. We had to chat to the producer who was asking the questions which would be shown before we go live, and she asked some pretty in-depth questions while a camera was running in the background and at times Paul choked up and cried but I guess that was what they wanted. On the day of transmission we were picked up from our hotel by a chauffeured car, arrived at the studio at 7am had make up done, waited in the green room which wasn’t Greemnan by the way! and then we were called to the studio… we had our microphones attached to us we were ready to go on set! We were ‘on air’ as they call it for 7 minutes. Gabby Roslin made us feel welcome, the interview got underway & Paul got a bit upset so that was what they call golden tv! 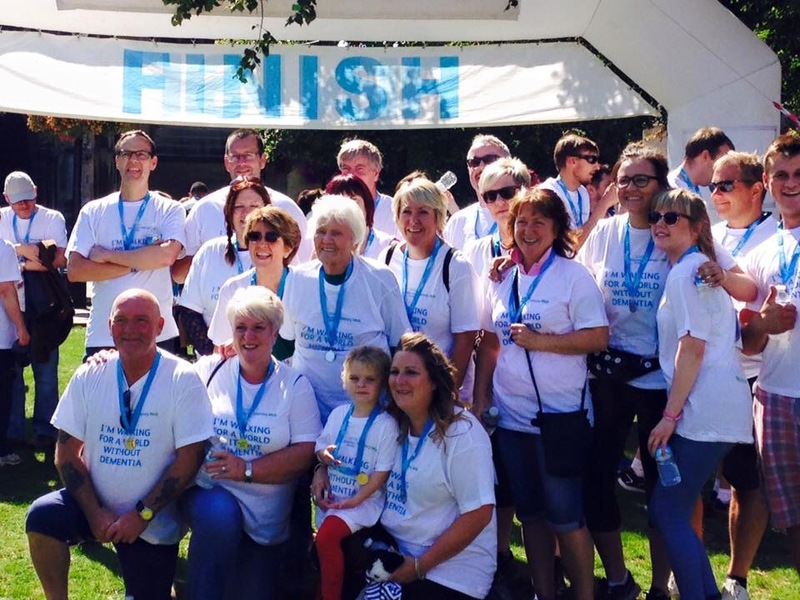 I managed to get my message across about raising awareness for people young like Paul with Alzheimer’s or Dementia and also managed to mention the memory walks and encourage people to register, get sponsors & walk with friends and family. Another mission accomplished! So we now had a diagnosis, I was relieved really! It meant I knew what was wrong with Paul, If I’m honest I had the gut feeling it was going to be Dementia related,but sadly it was a shock to Paul. We gave ourselves a couple of weeks to get our head around things and tell the family and I did an internet overload, I mean I Googled every site I possibly could to do with Dementia. We felt very comfortable talking about Alzheimer’s so it was never going to be a secret. We told all our close friends and work colegues and after everyone’s initial shock at the fact Paul was so young we just carried on as usual….well we tried to at least. We were now regular visitors to the Rice Memory Clinic in Bath, and what a friendly lovely place that is. Paul has tests roughly every six months. They are called MMSE tests and they test your mental abilities including your memory abilities and monitor the progression of the disease. If you were to look at the results on a graft over time they should show a gentle steady downward slope. It was within our first month of diagnosis that I was contacted by the Alzheimer’s Society, via the Rice Clinic, and they sent a lovely chap named Mike to visit us and talk about how we were coping & what support & help do we need, he has now become Paul’s support worker. Mike has supported Paul as well as asessing his Alzheimer’s each home visit but without us really knowing!! During the visits to the Rice Clinic & reading all the literature & leaflets we were given by the Alzheimer’s Society it stood out a mile to me that all the pictures of the people were old, grey and close up photos of hands were wrinkly…..portraying that Alzheimer’s & Dementia was a disease for the elderly. Hmm if young people in their mid fifties can develop Dementia then what could I do to try and change people’s perspective & raise awareness to this horrible disease, I wasn’t sure but I’m going to have a dam good try!